The training world is evolving at an incredible pace. It’s well established that blended learning offers learners a more meaningful experience to online training as a standalone approach. 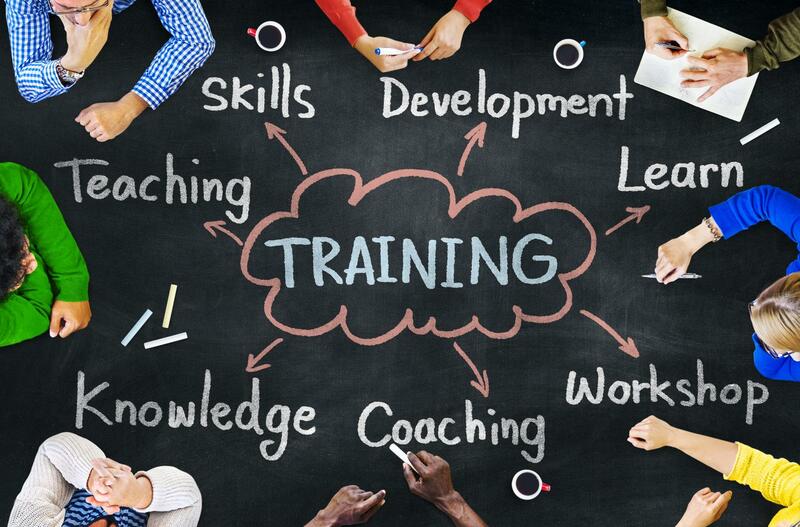 The days of full day, group training as a complete solution are dying out and L&D professionals are becoming far more creative in the training solutions they provide. More thought is increasingly being given to aspects such as learning styles and preferences, the operational flexibility of learner roles and their ability to take time out, in house opportunities to apply training within the workplace and, of course, the need for learners to have some control over where and how they access learning. When it comes to blended learning solutions and learning about different cultures, the format will clearly be driven by the specifics of what is being learned with the package differing for different scenarios. For example, will the learner be learning how to negotiate in Thailand? Meeting etiquette for the UAE? Or, cultural competence as a general skill? Online training is a great way to deliver cultural competence training, particularly since there is an abundance of research that demonstrates employees (particularly those working shifts) are more willing to learn when training is delivered in short chunks over a longer period of time. Research focusing on senior managers shows that they demonstrate a preference for fitting their learning around the working day – principally, during the commute home or when travelling. Online training, therefore, makes learning more accessible, more appealing and allows learners to take control over where and when they learn. This mode of delivery also mitigates the loss of learning retention and helps to consolidate learning by reinforcing learning over a protracted period of time (see Ebbinhaus’ Forgetting Curve). A key element of cultural competence training is the human touch. Being able to draw on first hand experiences from people who have lived and breathed intercultural roles provides invaluable insights and helps to breathe life into the scenarios typically outlined in online cultural competence courses. However, how do we best introduce these experiences into blended learning plans? A favoured approached amongst L&D professionals is to review their staff base and map the individuals who have previously undertaken intercultural competence training, staff who have previously undertaken expat assignments, or, who are currently participating in expat assignments, staff with international responsibilities such as selling internationally, marketing or negotiating internationally. For individuals who have already completed online courses, they will have an understanding of the necessary principles and framework; providing a great basis on which to take this further through discussions with a relevant member of the organisation. Speaking with someone who has physically experienced and undergone the challenges outlined in their online training experience will be extremely helpful in consolidating their learning. Some learners learn best by reading or writing. Where this is the case, then there are some fantastic books available online which give great insights into people’s expat or international experiences. Take for example ‘Settling in Thailand: An Expat Guide’ by Stephen Saad and Richard McCully. This book is incredibly engaging and outlines experiences from expats from across the age and professional spectrum. As a standalone training tool, the book alone doesn’t give the cultural understanding needed to navigate business processes in Thailand, but a book of this nature would not only compliment the online programme by providing a broader picture, but it would also help in the consolidation of learning. For the auditory learners, podcasts are a great way of further supplementing the online learning experience. Again, there are some incredible resources out there to offer additional insights and to help consolidate learning. As an example, sticher.comhave some great podcasts relating to culture with podcasts relating to individuals such as Ph.D. student Dylan Bollen’s who gives his insights into adapting to Australian culture. Again, these podcasts are great for learning consolidation and the development of a broader understanding. Seconding individuals who are preparing to work internationally to other parts of the business where work of this nature is already being undertaken is another invaluable practice. For example, if the sales team are preparing an international sales pitch, then giving those learning cultural competence the opportunity to become involved would really help to provide the type of learning that is hard to come by in online, written or auditory tools. These five areas only scratch the surface of opportunities, but they are key considerations for anyone creating blended cultural competence programmes. L&D staff looking to create blended programmes can best gain the buy in of stakeholders and learners by offering approaches which build on existing in-house expertise and incorporating tools which support all learning styles.